Stefania has been a team member since 2001. She attended Northeastern University and holds a Connecticut State Insurance License. She has advanced training in management of finances and insurance. She processes all insurance claims for your convenience and will work with you if financial options need to be explored. She is always available to help with any questions or concerns patients may have. Stefania is fluent in Italian. She enjoys spending time with her son and family, traveling and the beach. 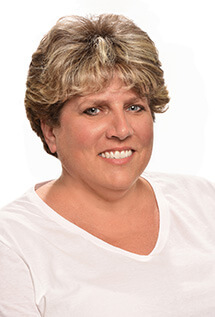 Kathy is our receptionist and has been with the office since 2013 after 5 years in an orthodontic office. Kathy enjoys life with her husband Brian, children Branden and Aimee. She loves to travel, cook and embraces any new adventure that comes her way. Kathy looks forward to greeting you at your next visit. 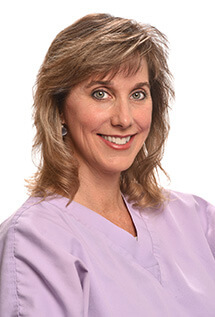 Sharon is a licensed Dental Hygienist with a Bachelor of Science degree from the University of New Haven. Sharon had 2 years in pediatric dental hygiene prior to joining our team in 1996. She enjoys getting to know her patients and puts them at ease with her engaging conversations. Sharon enjoys hiking, gardening and spending time with her husband and two beautiful children. Michelle has been a team member since 1999. She graduated from Glastonbury High School. Michelle is a licensed Dental Hygienist who trained at Tunxis Community College. 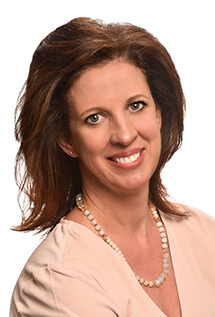 She had 11 years’ experience assisting in orthodontic and pediatric dentistry prior to joining our team. Michelle and her husband enjoy raising their 2 children. Mary is a Certified Dental Assistant (CDA) graduating from Windham Technical School. She joined our team in 2016 after 11 years in another general dental office. Mary enjoys gardening, the beach, cooking and hiking with her family. 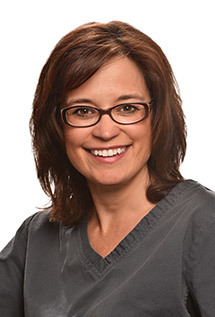 Valleri is a Certified Dental Assistant (CDA) and has been a team member since 2002. She has previous experience as a dental receptionist. Valleri has advanced training in Invisalign orthodontics, cerec crown, dental implant, endodontics, extractions and home whitening systems. She spends her spare time with her husband and 3 teens, re-homing Sugar Gliders, biking, kickboxing, classic cars and enjoying the outdoors. Valerie is a Dental Assistant who joined our team in 2016 after working in other dental offices. Valerie lives in Colchester with her family, enjoys cooking, walking, running and Zumba classes. Amanda is a licensed Dental Hygienist with an Associate of Science Degree in Dental Hygiene from Lincoln College of New England. Amanda's bubbly and caring personality helps the most apprehensive patients feel at ease during their hygiene visits. She is also proud to be certified in local anesthesia in order to provide all patients the maximum comfort. She is dedicated to providing optimal and compassionate care for all her patients. On her days off Amanda enjoys traveling, hiking, biking, and quality time with close friends. Amanda joined our team in 2016.